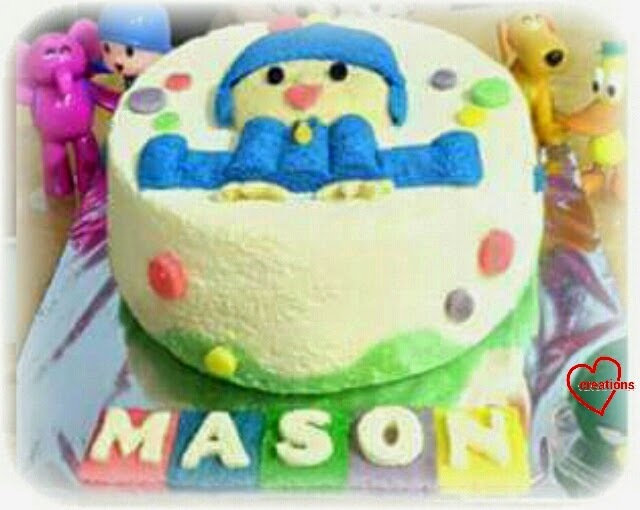 This is a Pocoyo chiffon cake for a little cute, handsome boy, Mason who somehow reminds me of Pocoyo because of his huge pretty eyes! 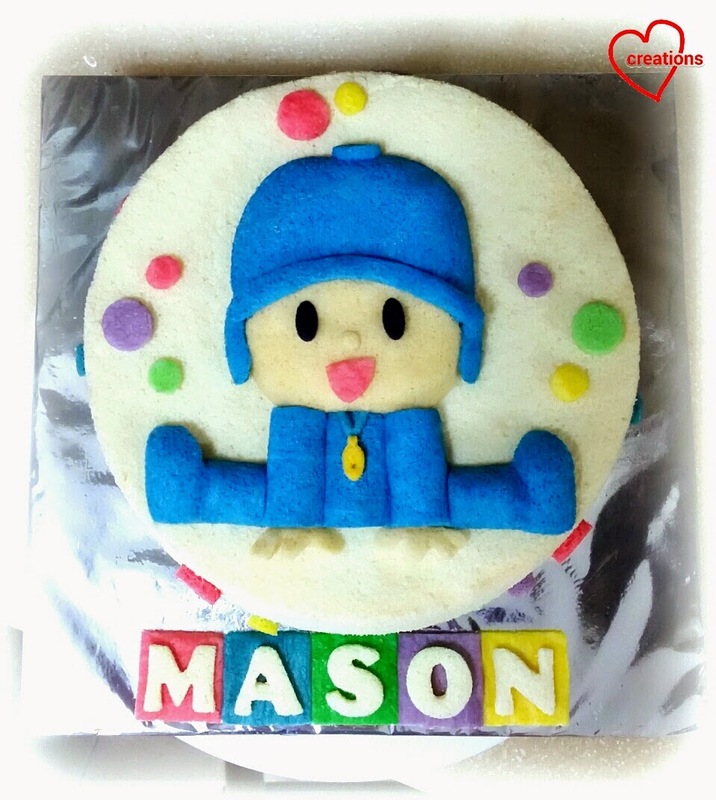 Pocoyo’s body is made up of a few mini cute swissrolls (blue pea flowers chiffon cake, baked as layers and roll while hot), and his face and hat from chiffon cake in an oval bowl. For the base chiffon cake, I made green grass pastures using pandan chiffon cake (vanilla chiffon batter then top up with pandan chiffon batter at the top) but I forgot to take a picture. Thanks to my friend who had a picture of the side profile of the cake! The cake is decorated with colorful balls or circles from the cartoon. It’s my privilege to bake for such a sweet adorable boy! Happy happy birthday to Mason! Hi Susanne, you r so talented . Really appreciate all your generous sharing. I wanted to do some figurines for my son but how to achieve these round edges like the legs. Must I use my hand to mould it ? Appreciate if u could help me? Hi, you can use cake pop molds =) thanks!